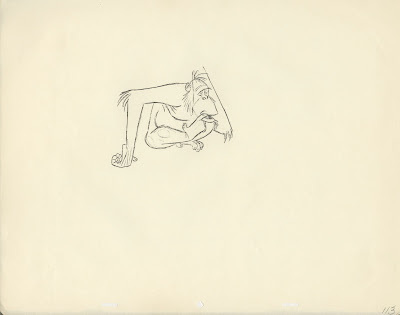 "Cool it Boy, unwind Yourself!" 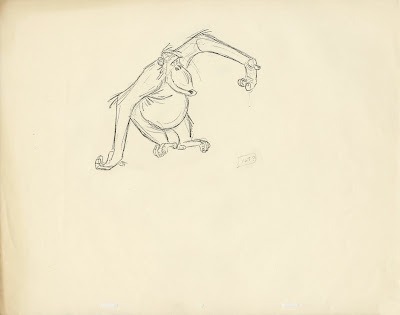 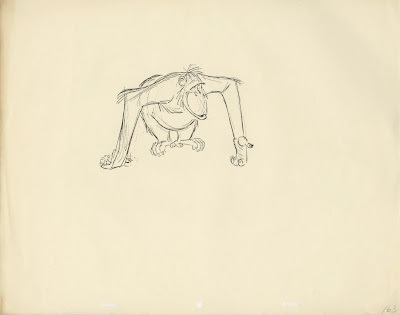 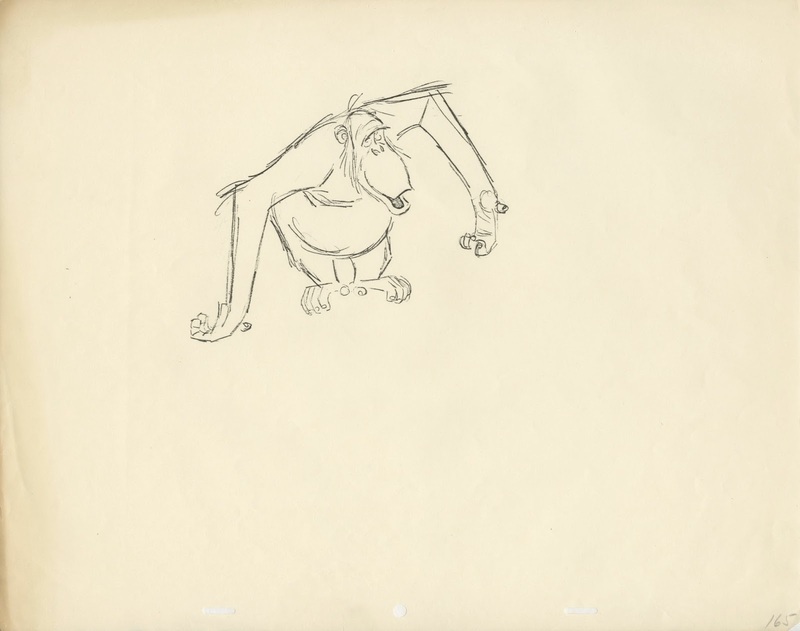 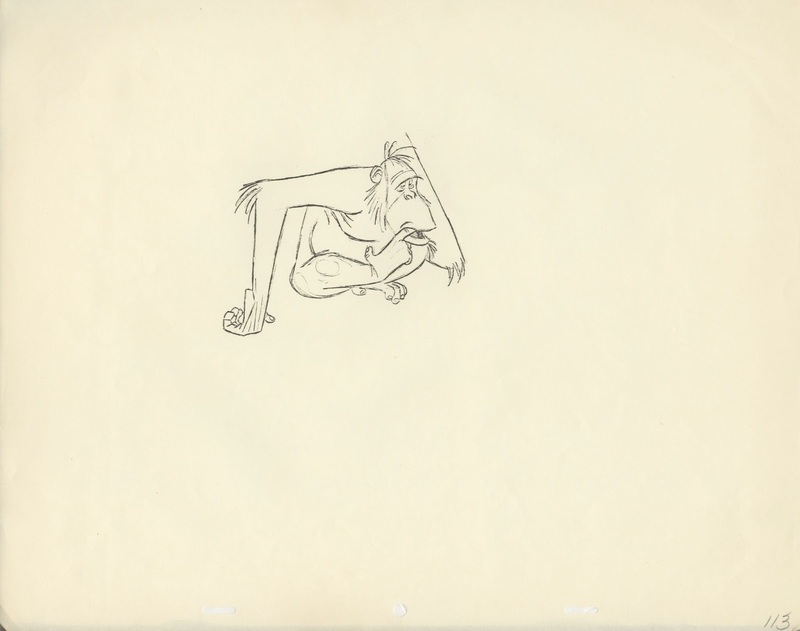 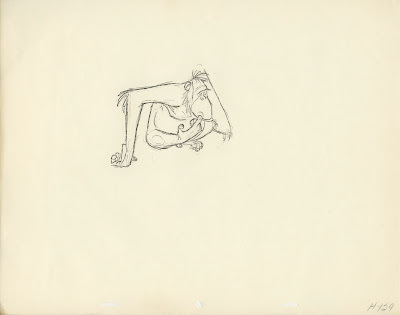 Animator Eric Cleworth drew the first few scenes that introduce the character of King Louie in The Jungle Book. 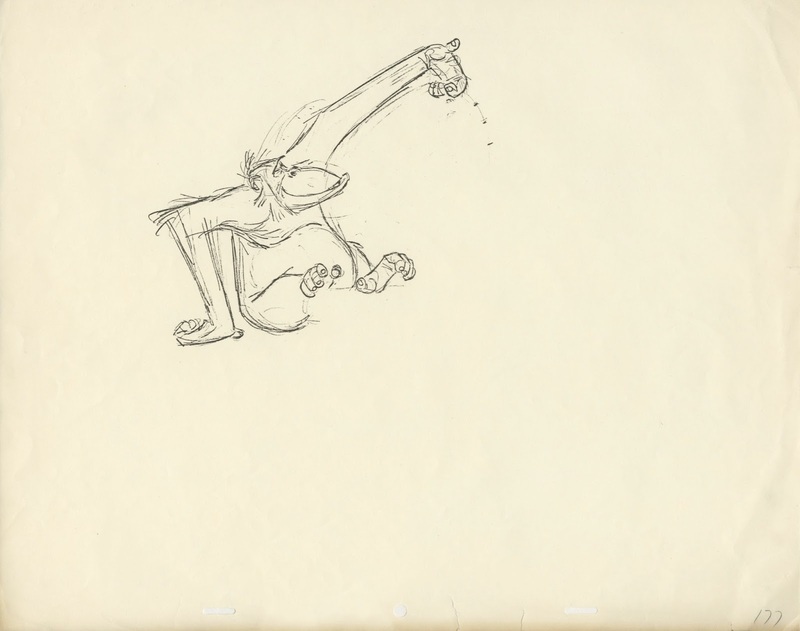 But it wasn't until Milt Kahl animated this moment, when Louie picks up Mowgli off the ground, that the animation shows real personality. At the start of the scene Mowgli is yelling at a bunch of monkeys, who had just dropped the kid to the floor. 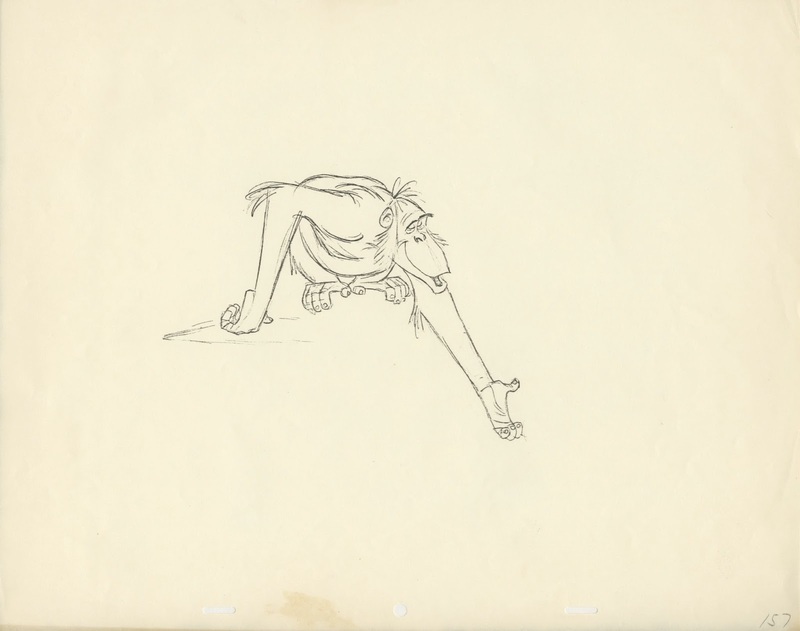 King Louie is watching this for a while, as he scratches his back with his left hand. 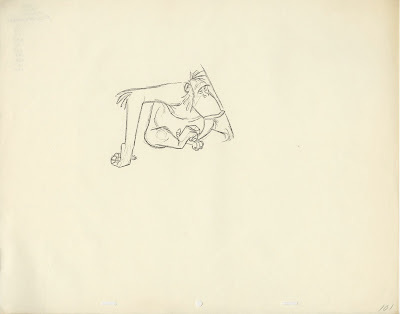 He then puts his right foot into his mouth, thinking something like: Now what do we have here? 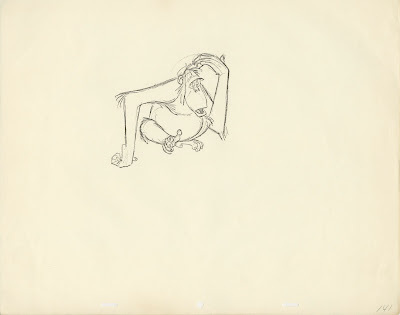 Milt takes full advantage of the comedic idea that with a big ape hands can become feet, and feet can act like hands. 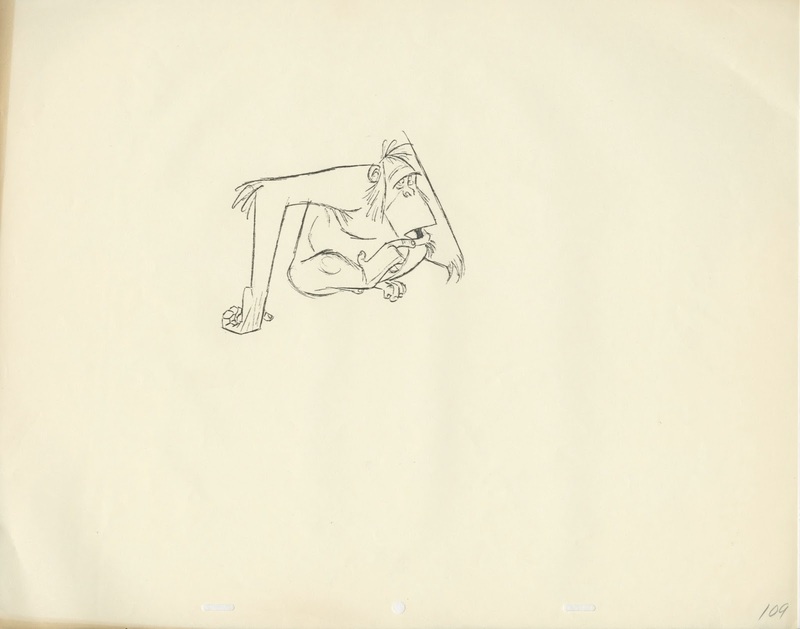 (Milt later animated the scene in which Louie stands on one arm, as the rest of his limbs are pointing at himself). 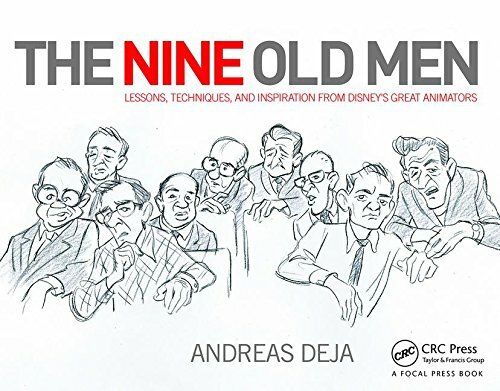 You don't see the scratching hand in these rough animation drawings. 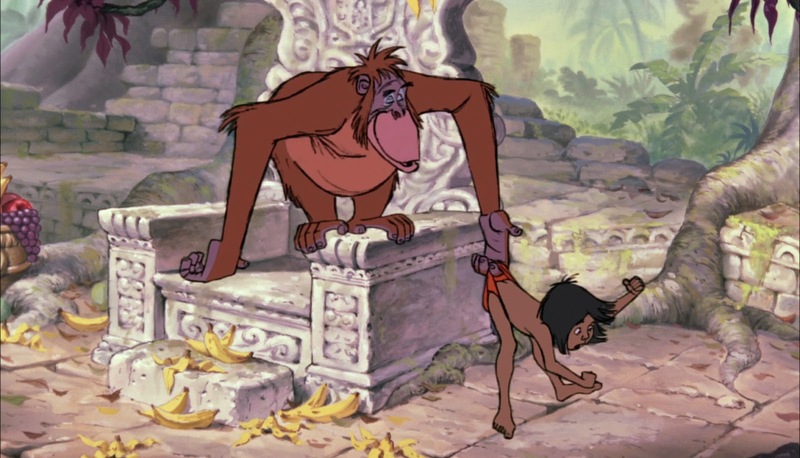 That piece of action is on a different level, as is Mowgli. 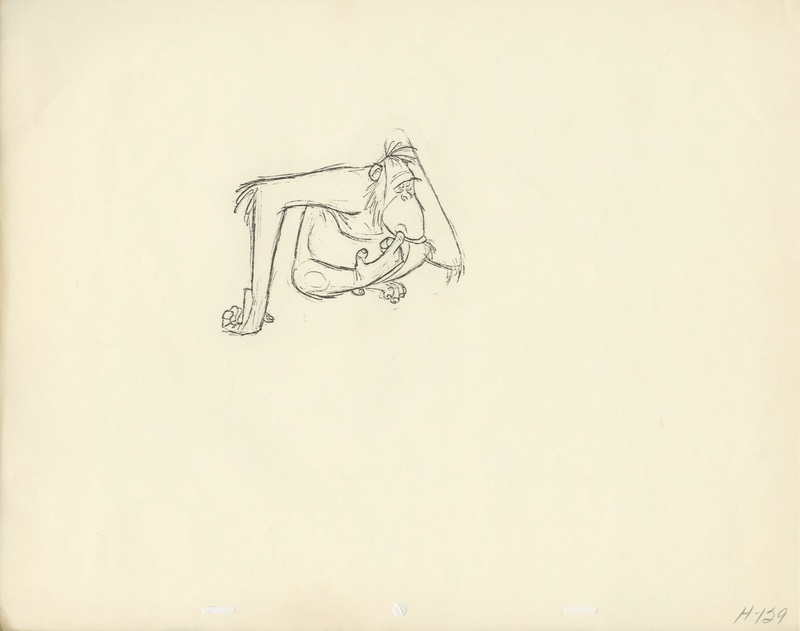 There is a nice balance in the character's movement. 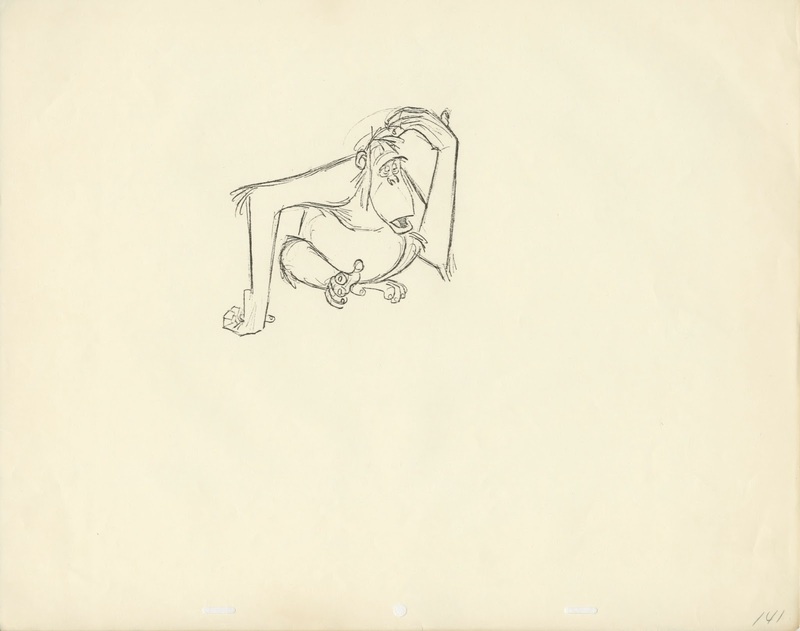 As his upper body moves downward, his rear goes up, before Louie lowers himself into the throne. These drawing copies come from the estate of Frank Thomas, who used them as reference for his own brilliant animation. 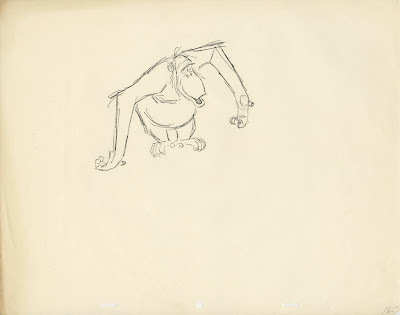 Frank animated most of King Louie during the song "I wanna be like you."